EDGEPro, the eye care industry’s leading analysis software, is fully HIPAA-compliant and works with your existing PMS or EHR to help you take control of your business. It provides easy-to-use reports on your practice performance, so you can make smart, profitable decisions. The Easiest Way to Track, Measure and Manage Practice Performance. Find your best opportunities to boost revenue, manage your product lines smartly, and so much more! 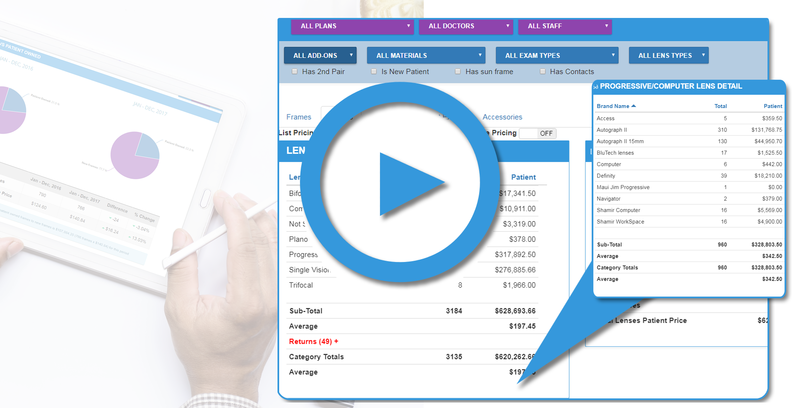 EDGEPro is exactly what you need to help you capitalize on the opportunities that exist in your practice to improve your bottom line, optimize your product mix and markup, and analyze the profitability of your managed care plans. How Can EDGEPro Help Your Practice? Where Can I Make More Money? Bring more cash into your practice by targeting your best revenue-generating opportunities. Which Vision Plans Are Performing Best? 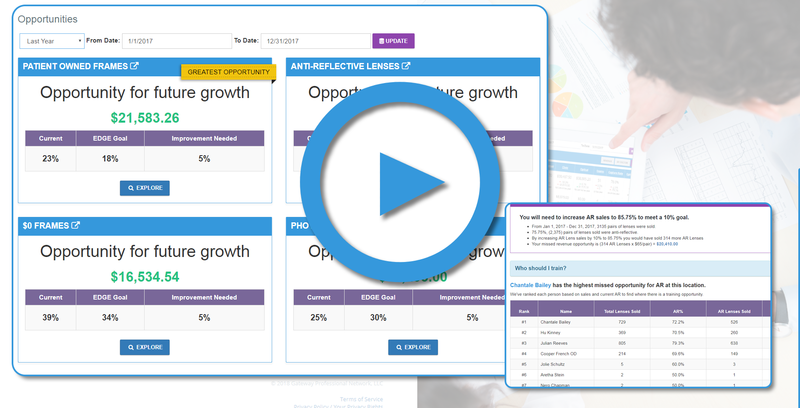 See your vision plans side-by-side and evaluate the success of your participation accurately. Monitor your patients’ buying habits so you can eliminate poor performers and focus on profitable brands. EDGEPro is the only analysis software with certified partnerships with all major Practice Management Systems, making it safe and secure. With EDGEPro Rankings, find out where you’re running ahead or behind the rest of the pack with national or regional benchmarks on key metrics. Evaluate your staff and doctor productivity quickly and compare results side by side. Find out who’s a superstar, and who might need additional training. Now you can login from anywhere, on any device to view your business performance reports. Easily isolate a single office, or compare multiple locations side-by-side or view combined results. Get a snapshot business overview in your inbox every month or once a week. Analyze Your Business Trends In Seconds, Not Hours! See productivity reports by doctor, by plan, by staff member, or by department – even by day of the week. EDGEPro allows you to filter your reporting quickly and easily so you can see how all the components of your business are performing. Your KPIs have never been easier to see and understand. Learn where your practice can benefit the most, and how much revenue can be gained in specific areas. 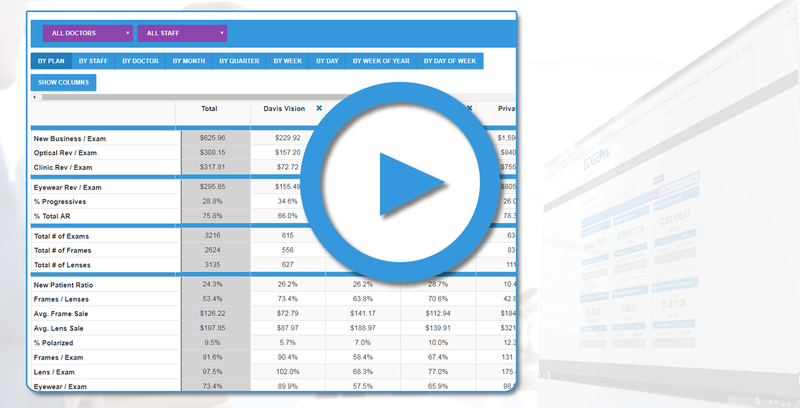 Let EDGEPro show you which products are performing best, and what they’re adding to your bottom line. Your dollars are important, and where you choose to invest them matters. Reporting software should provide you with the tools that you need to impact your practice and see results! Practices that implement EDGEPro are routinely seeing as much as a 20x Return on Investment in their bottom line in the first year alone. Get Started With EDGEPro Today!